Mexican singer and actress whose debut album, Correspondencia, was released in 2016 and spawned the singles "Acicálame," "Búfalo," and "Ultravioleta." As an actress, she has appeared in critically-acclaimed films like The Burning Plain (2008) and Pink Magnolia (2015). She made her television debut on the soap opera Rebelde when she was 9 years old. 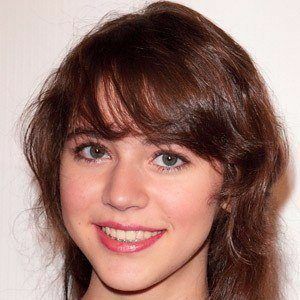 Her performance in the 2012 indie drama Después de Lucía earned her Best Actress nominations at the Ariel Awards and Young Artist Awards. She comes from a showbusiness family, including mother Nailea Norvind, sister Naian Gonzalez Norvind, and sister Camila Sodi. She co-starred with Charlize Theron in the drama The Burning Plain.